Captain Marvel has emerged as the first true blockbuster of 2019, bursting out of the gate by earning $153 million during its first weekend. Audiences love the movie even though my own review was a bit more tepid. While Captain Marvel is a very good action film, like several other critics, I thought the story didn’t hold together very well. Some reviewers believed a large part of the blame (from a film quality perspective) was in miscasting Brie Larson in the title role. I actually have a different take. I think the problem with the movie was in the story structure, which complicated the role of the actor and movie editing. What I mean by story “structure” is the way the story unfolds, both in terms of plot and character development. While I won’t go into this in a lot of detail, movies have very rigid “rules” for developing screenplays and telling stories. Unlike novels, which can take their own course, screenplays have to fit into a highly structure two hour visual storytelling frame. The classic screenplay outline encompasses three acts. The first act gives us background of the character and the “normal” world where they are not faced with conflicts. This includes the inciting incident, that point that propels the character on their journey. The second act has the lead character(s) fumbling about until they realize they need to do something different (or die, often times literally). They will experiment with different strategies and tactics, but they are grounded in their “normal world” even though they are no longer living and acting the normal world. 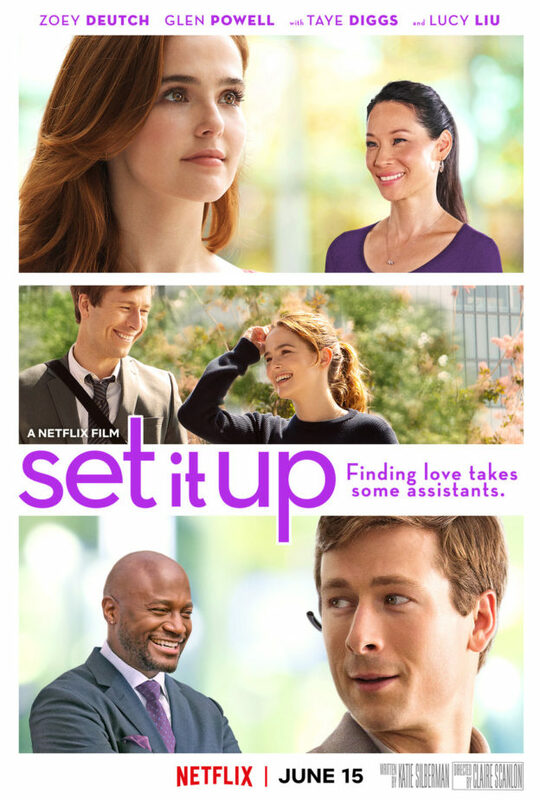 All this builds to a clamactic scene where the lead character overcomes their primary obstacle (or villain). The third act wraps everything up. The actual markers delineating the first, second, and third acts are not formulaic; They change with the character, plot, environment, and action. Most stories are also paths on the so-called “hero’s journey.” They are on a quest for some higher purpose, and to achieve that objective they will face an almost insurmountable obstacle. The obstacle is “almost” insurmountable because if our protagonist doesn’t overcome it the ending is a downer. Most people like to see the protagonist win, even if they have deep flaws. Which brings me to Captain Marvel…. We (the audience) are introduced to her through dreams, where we think she is human, but later realize she a member of the Kree civilization name Vers (pronounced Veers). Outside the dream, she is spunky, hot headed, and strong willed. In the dream, she has experienced a trauma and is confused and dazed. Which is the real Veers? Is it a dream? Or a memory? I don’t know, and without really understanding her starting point, I was confused. Moreover, we find out that the dreams themselves are connected to some vague Supreme Intelligence. So, they might be memories. Eventually, these two conflicting views of Vers are brought together, and its logical and makes sense. In the beginning, however, I (and surely other viewers) had to dismiss “one” of the Veers because her approach to situations was so diametrically opposed to each other. In the process, I was taken out of the story, and ended up focusing on the action, not the character. As a novelist who writes character driven action adventures, I was disappointed and unsatisfied. From a artistic point of view, I think these dueling perceptions of the motivations and behavior of Vers unmoored her character in the story, making it difficult for readers and viewers to connect to her. Brie Larson clearly had a vision for her character, and how she would play it. The vision makes sense given the arc of the overall story. But as a viewer (reader if it’s a book), I couldn’t relate to her. I didn’t understand Vers’ motivations. Without understanding her motivations, I was unable to determine what her true challenge was, let alone evaluate the gravity of the obstacles she would face. These confusions may have been the intent of the screenwriters and directors–there were multiple in both roles–a storytelling trick to keep us hooked. If this is the case, based on the criticisms of the film and Brie Larson’s performance coming from many different quarters of the critic community, I think they were too clever by half. Personally, I saw a lot to like in Larson’s performance. If I had been more invested in her character and understand better how to interpret her behavior as she embarks, as most superheros do, on their journey toward self-discovery, I would have been all in from the beginning. For the record, I really like the Captain Marvel character and think it’s long overdue for a female lead character to headline a Marvel movie. I am looking forward to seeing Brie Larson reprise her role in future films. More of my writing on storytelling from this blog can be found here. 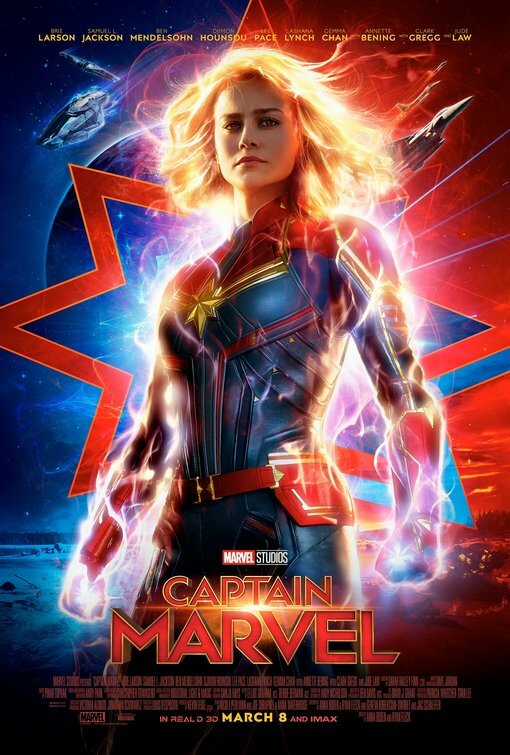 This entry was posted in Film Reviews, Films, writing and storytelling and tagged Captain Marvel, movie reviews, storytelling on March 17, 2019 by SR Staley. I’ve provided links to my reviews of the 2018 movies nominated for the 91st Academy Awards in the most widely recognized major awards categories. Winners are in bold italics. I’ve focused on the categories where I was able to review most of the nominated movies. I will also update this blog post with the winners after the show. 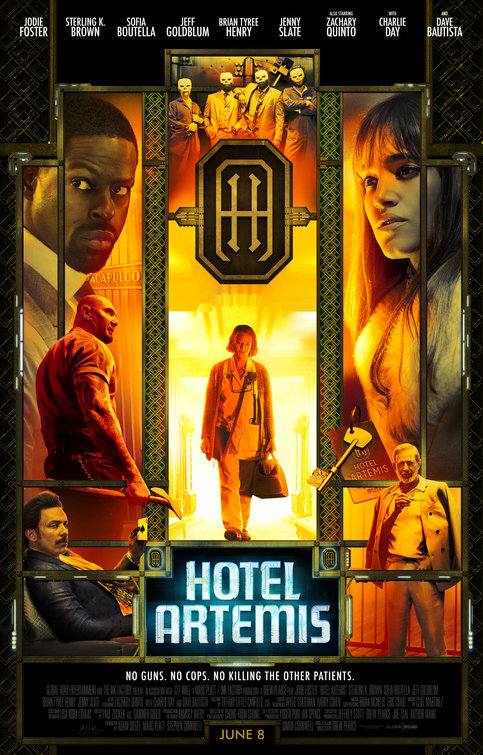 This entry was posted in Film Reviews, Films and tagged 2018 Academy Awards, 2018 movies, 91st Academy Awards, Academy Awards, movie reviews, Oscars on February 24, 2019 by SR Staley. At first blush, Roma is the kind of movie critics and industry types love. Most American filmmakers can probably tick off with ease the reasons why Alfonso Cuaron’s film is destined to become an industry classic. The cinematography is fantastic, the frame-by-frame attention to detail is stunning, the director’s decision to film in black and white was bold, the existential approach to telling the story (using the point of view of a young domestic servant’s life — Cleo, played by Yalitza Aparacio — as a live-in maid and nanny to a upper middle class family in Mexico City) evokes empathy and reflection. The fact that Cleo is also of indigenous ethnic origin, and apparently Aparicio is the first indigenous woman to be nominated for a Best Actress Academy Award, is icing on the cake. 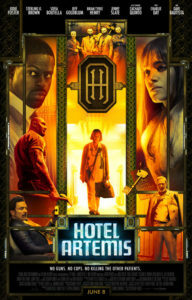 For (American) audiences, however, here’s the rub: The movie is slow moving, appears to meander, and borders on boring. The film has very little action, and even less plot. 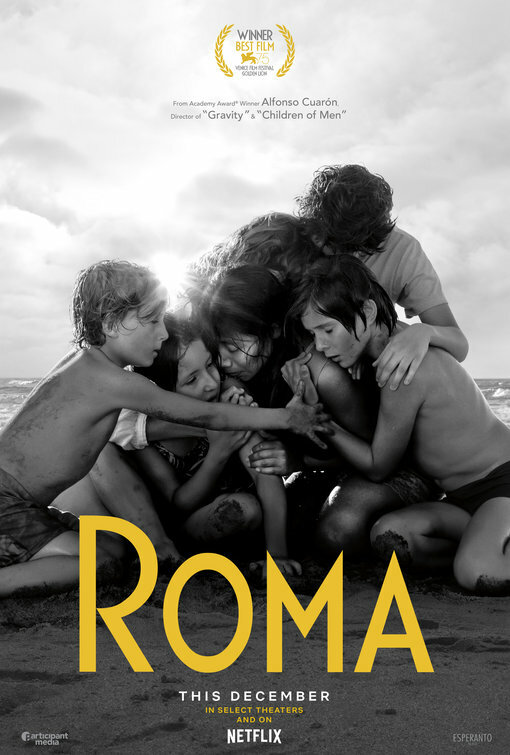 Roma appears to be about the characters and their arc over the course of the film. Not surprisingly, critics are heaping praise while audiences are less enthusiastic. At Rotten Tomatoes, 96% of critics rate Roma fresh while audiences are less enamored, with just 73% giving it similar ratings. If audiences had more backstory, their appreciation for the movie might improve. A little Mexican political and economic history, almost all of it ignored by most American reviews (which describes it as a semi-autobiographical film) helps us understand why Roma is, in fact, much more. Roma is more than an art movie. Set in 1970 and 1971, the movie takes place ten years after the PRI (Institutional Revolutionary Party) started Mexico’s “Dirty War”. The government repressed leftist organizations, students, and anti-PRI political opponents as it used increasingly authoritarian tactics to maintain control. The tactics were violent, leading to hundreds of deaths and thousands of injuries as the PRI become more authoritarian. Most notable for Roma’s story may the Corpus Christ massacre in June 1971, which becomes a critical plot point. This background is actually fundamental to understanding the movie. I could see more clearly the human drama unfolding in the scenes. Cleo’s passive role (and understated acting) in the family, despite her central role as its anchor, is more fully understood. The relationship between Cleo, her host family, and her co-workers reflect the socioeconomic (and political) tensions of the time. Cleo is from a poor, indigenous village, but she works in Mexico City for a well-educated professional family. The father is a medical researcher and doctor, and the mother is a biochemist. Cleo’s role at the center of the family dynamics is put in stark contrast to her impoverished, less sophisticated and uneducated background. At the same time, we see the importance of Cleo supporting her own family through her work in the city. Meanwhile, wealthy land owners (and relatives to Cleo’s host family) are working with, or at least complicit in, the government’s land expropriation policies directed at poor indigenous villagers and small farmers. The conflicts and tensions between rural and urban ways of life play out in important ways as the middle-class family dynamics deteriorate and Cleo is faced with a traumatic choice that will alter the future of her life and relationship to her host family. Several scenes specifically draw on the repression and chaos surrounding the events of the Dirty War, and how government policy played out in class tensions, inequities in political power, and the fragile nature of property rights in Mexico. Understanding this, Cuaron’s imagery is even more salient and crucial to the film. I will not be surprised if Roma takes several major awards during Oscar night, including Best Picture and Best Director, most of them well-earned. While the inspiration for Cleo is in fact drawn on Cuaron’s family and his life growing up in the Colonial Roma neighborhood of Mexico City, and he no doubt drew extensively on his personal experiences growing up in the neighborhood, the film is a very subtle and sophisticated use of visual storytelling to engage in social commentary. I just needed to know more about Mexico’s political history to really appreciate full breadth of what Cuaron accomplished on the screen. This entry was posted in Film making, Film Reviews, Films, Reviews and tagged Academy Awards, Alfonso Cuaron, Mexico, movie review, Oscars, Roma on February 24, 2019 by SR Staley. Calusa Spirits, the action-packed third book in the Pirate of Panther Bay series, is set to launch on—you guessed it—International Talk Like a Pirate Day! The official book release will be on Wednesday, September 19, 2018 from 6 pm to 9 pm ET. I don’t think we can get Ol’ Chumbucket or Cap’n Slappy to make an appearance. 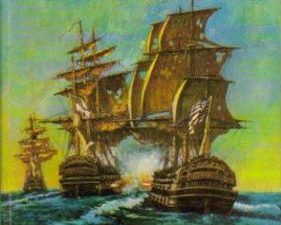 We can, however, take up their mantra by making this pirate day super fun and by releasing a grand high-seas adventure in an award-winning series. 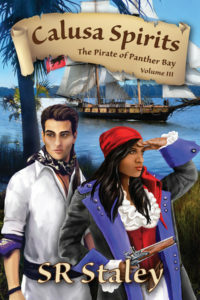 This entry was posted in Book Signings, Marketing, Pirate of Panther Bay, Tortuga Bay and tagged book launch, Calusa Spirits, International Talk Like a Pirate Day, ology brewing, pirate of panther bay, Southern Yellow Pine Publishing, syp publishing, Tortuga Bay, Under The Crossbones, virtual book launch on August 20, 2018 by SR Staley. I have once again been invited back to join the faculty of the Florida Writers Conference ! This entry was posted in Characters development, Conferences & Workshops, Showing vs telling, Writers & Writing, writing and storytelling and tagged Florida Writers Conference, foreign language, FWA, show don't tell, storytelling, workshops, writing tips on June 21, 2018 by SR Staley. 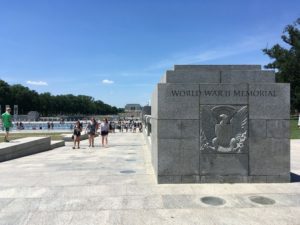 The Entrance to the World War II Memorial in Washington, D.C.
A few unexpected extra hours in Washington, D.C. recently allowed me to visit the World War II Memorial, the Korean War Veterans Memorial, and the Vietnam Veterans Memorial. The experience left me with a powerful insight into how immersive physical design can create a visceral human connection to their subject. 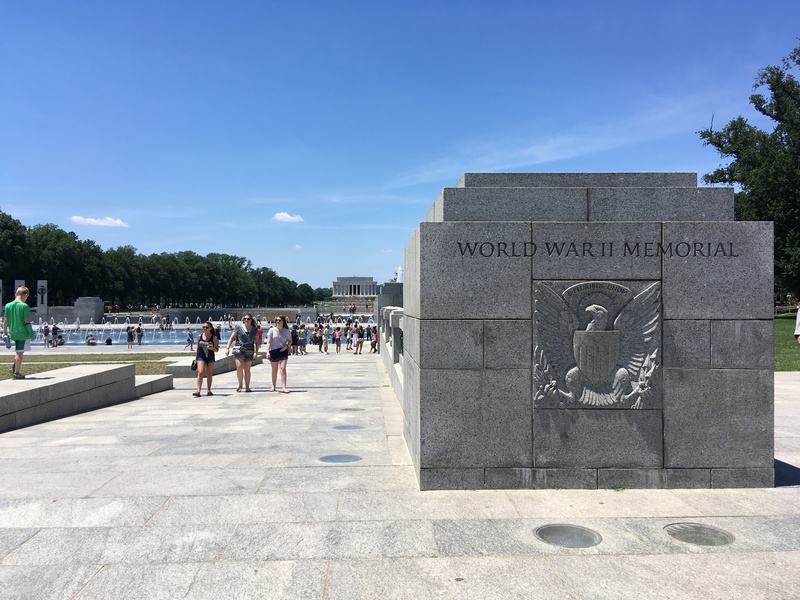 This entry was posted in Showing vs telling, writing and storytelling and tagged art, design, immersive art, Korean War Memorial, storytelling, Vietnam Memorial, visual storytelling, World War II on June 18, 2018 by SR Staley.